Metro wenge finish bedroom set constructed of wood veneer with contemporary style. 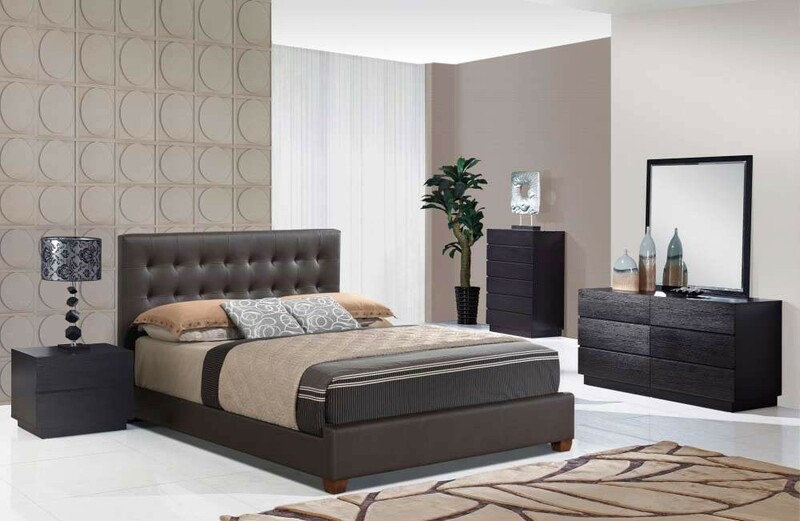 Chocolate leather bed includes tufted headboard and matches perfectly with case goods. Minimalist design in a rich wenge finish has smooth closing drawers that open from underneath.